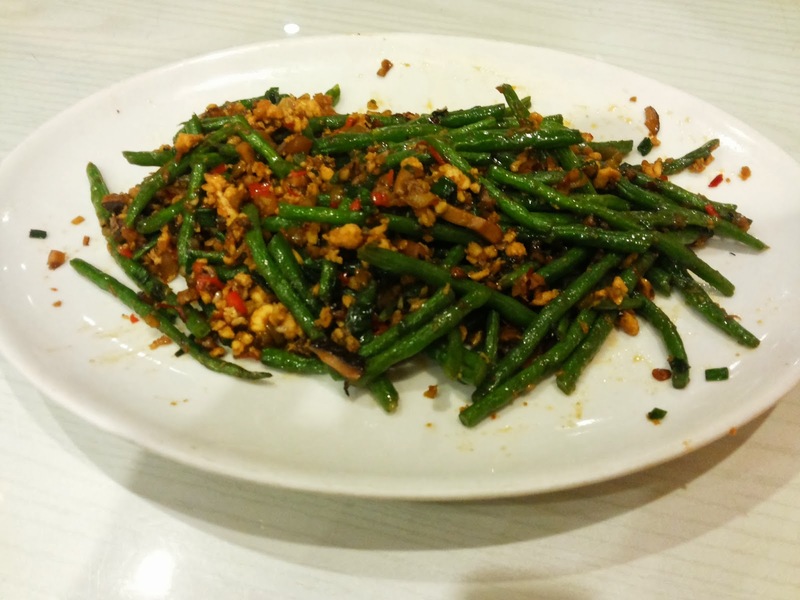 In the day 5 of CNY, we go to have a dinner in happiness restaurant that served chinese food. i was craving for fried oat prawn (udang nestum), so i choose chinese resto that serve this menu. and here we choose happiness resto.. because the price is quite acceptable than other chinese resto or seafood resto..
we came at 7pm, although already dinner time, but still no so crowd. we choose the seat that near the window.. The seat here is quite spacious but the chair/sofa is too short so a lil bit not comfort. but u can choose to sit at the others table that the chair isn't sofa. Happiness resto serve chicken, fish, prawn, tofu, vegetable in variance kind of sauce and cook style ( i mean can be steam, fried, etc) and they also have kind of dessert (pudding) , appetizer (lumpia etc). 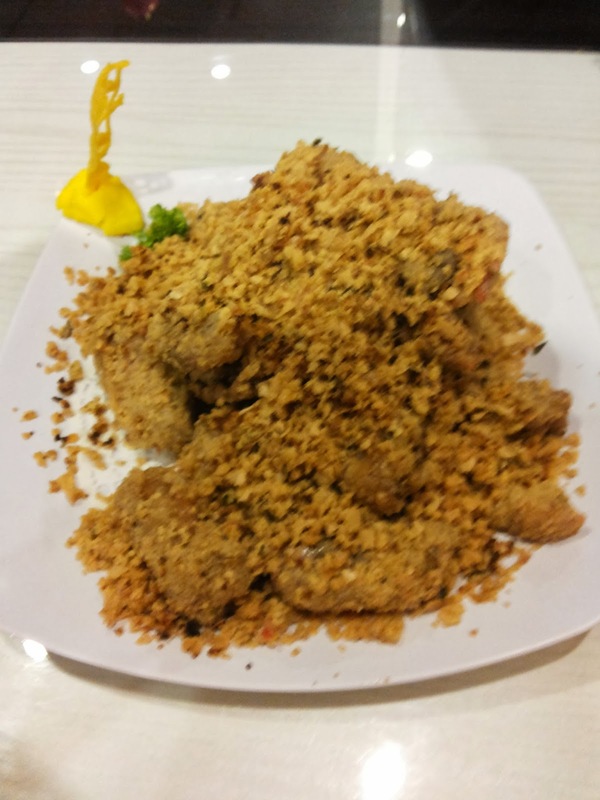 The prawn is quite big, and fried well with the oat not oily at all. very cheesy.. Taste Good. 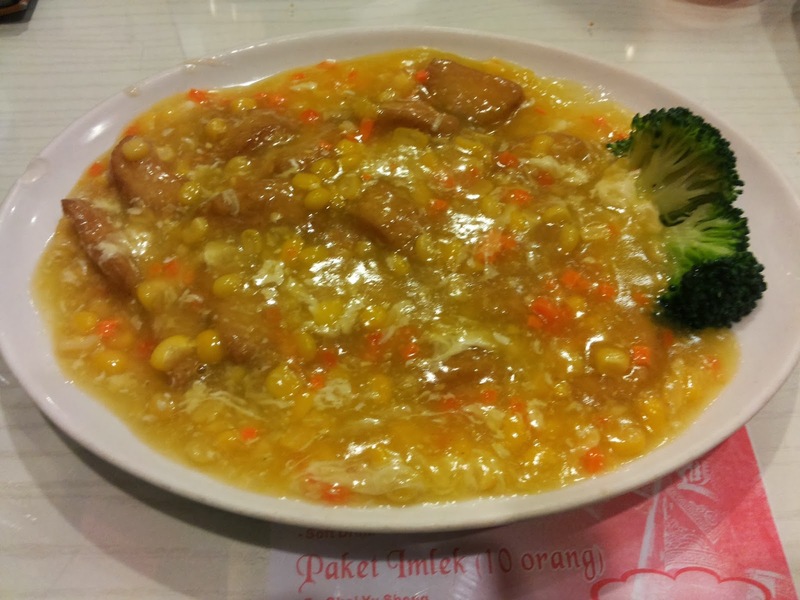 Combine with Chili sauce taste more yummy..
Fried Tofu that pour with corn thickened sauce. the tofu is very soft combine with the sauce. taste good..the sauce is yummy just like chicken corn soup.. like that much... much..
Others menu that i recommend here are Udang Wasabi and Soup ayam jagung. I have try this two menu, taste really good..
For this dinner we spend about IDR 138.000 for two person. Quite acceptable, rite? Satisfied with this dinner. the portion is much much enough for us and service was good. and the resto situation was so comfort. i am surely will come again.. already having meal at there for about 3 or 4 times..